Most people are unaware that helium is vital to technology, including the very Internet access people use to read this article. Fiber optics manufacturing — helium is used to cool down fiber optics which goes into cables for data transfer. Fiber optics require an all-helium environment to prevent air bubbles from being trapped in the delicate fibers. Fiber optics are fragile and can break, which is why using helium is vital to the process. Using other methods of cooling would possibly contaminate the fibers, making them unusuable. Semiconductor cooling — helium is used to transfer heat away from semiconductors (computer chips) when manufactured. Helium is also used to cool the magnets used in manufacturing the semiconductors. The helium actually transform the magnet into a superconductor, thus making it even more powerful. Controlling the atmosphere in the manufacturing process and experiments is vitally important, so much so that companies use 18 percent of the annual helium usage to provide that controlled environment. Like the requirement to use helium during fiber optics manufacturing to prevent air bubbles, helium provides a safe and inert way to control the environment in manufacturing and testing different computer components. Fiber optics is essential for today’s Internet. About 25 percent of today’s Internet is made up of fiber optics and that number is expected to increase as more carriers switch over to the ultra fast fiber optic cables. Unlike copper based technologies such as DSL and broadband cable, fiber optic isn’t limited by electricity and resistance. It works by transmitting data in the form of light, thus giving amazing speeds such as 1 gigabit per second throughput. People are taught that helium is the second element in the periodic table in their high school chemistry class, but not much in terms of applications. Other than party balloons and speaking with a squeaky voice when inhaling it, most people don’t pay much attention to helium, even though without it, the world would look very different today. Helium is vitally important because it is a nonrenewable resource that is extracted from natural gas. 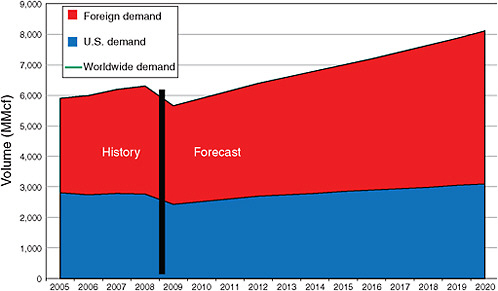 What’s more, in 2015 the world’s demand for helium continues to increase. In 2015 it’s estimated that companies extracted about $900 million dollars worth of helium in the United States alone. During that year, it’s estimated that the world used 1.5 billion cubic feet of helium. Helium is vitally important for today’s technology, including Internet access. Without helium, people would not have the same level of technology they enjoy today. Helium has a number of US Defense uses and is an extremely important to the US Military. Defense use falls into two types, indirect and direct. Indirect usage by the military is often direct usage by other groups. One example is weather monitoring, which is necessary for a number of military operations even when it is not the specific mission of a military group. One of the most important direct uses of helium by the US Military represents about a fifth of yearly consumption in this country. Both NASA and US Defense agencies need helium to operate heat-guided missiles and rockets. It remains the only gas that can purge and pressurize the propulsion systems and tanks of rockets that rely on liquid hydrogen and oxygen as fuel. The use of an incompatible gas could cause engines to become nonfunctional. Helium also has a critical role in surveillance within combat areas. Ground troops rely on helium to cool some types of thermographic cameras and other equipment. The Army in particular considers a supply of helium critical to its cryogenic research. Some of its detectors require liquid helium. Navy submarine detectors use helium to eradicate noisy signals. The events of 9-11 caused US Defense organizations to increase surveillance efforts. Surveillance systems based on operating balloons and dirigibles require ready access to helium. Helium is the most abundant in the universe and also the second lightest. Scientists believe helium was a byproduct of the Big Bang. On Earth, the radioactive decay of heavier elements creates helium. Helium has quite a few special attributes that make it very valuable for military and commercial use. Among the elements, it is the most stable. It neither burns nor reacts with any of the other elements. It remains a gas except in unusual conditions. Only under extreme conditions is it even possible to concoct any of the small number of helium compounds. However, unlike other materials that become solid when exposed to temperatures near absolute zero, helium remains a fluid. The diversity of this element lies in its unique chemical and physical characteristics. The two most outstanding are its low atomic mass and a stable electronic configuration. Helium a non-renewable natural resource. The most common way to recover helium is from deposits of natural gas. The richest helium areas in the US produce commercially feasible sources of natural gas that typically have higher concentrations of helium than those linked to international sources. The Bureau of Land Management (BLM) was tasked with operating and maintaining the Federal Helium Program (FHP). BLM staff in Amarillo, Texas operate and maintain the only federal storage reservoir, plant, and pipeline. The program supplies approximately 42 percent of US helium and 35 percent of the worldwide supply. 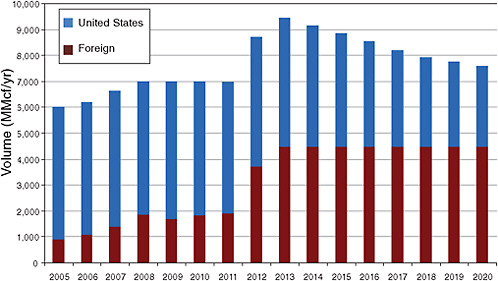 When the initial FHP ended, Congress passed the Helium Stewardship Act of 2013. This legislation continues FHP provisions until the end of fiscal year 2020. Helium remains a vital resource in the US Defense and US Military supply chain. Supply limitations are strong indicators of rising helium prices on the horizon. Helium is an element in the noble gas category that serves many purposes in various industries including the medical field. In fact, one of the most common uses of helium is in MRI machines. A magnetic resonance imaging, more commonly known as an MRI, machine is a device that uses a combination of radio waves and a magnetic field to view internal images of the body. The magnetic field and radio waves create detailed images of different organs and tissue. It’s a noninvasive procedure used to produce high-resolution imagery for diagnostic purposes, in particular of the tissue, organs and skeleton. MRI machines assist physicians in determining the origin of a seizure, the presence of a tumor or the damage done by a heart attack, just to name a few instances. A majority of MRI machines used consist of a large, tube-shaped magnet, which patients must lay down in on a moveable table. While inside of the machine, the magnetic field alters the alignment of the hydrogen atoms inside the body. Radio waves then stimulate the atoms to create signals that produce an image. They create cross-sectional images. They’re even capable of producing 3-D images and allow medical professionals to view the image at various angles. An MRI machine contains coils, a magnet and wires that conduct current. The machine uses a great deal of energy because of its large magnetic field. In order for it to use that much energy, it must be super conductive. For this to occur, wires inside the machine need to be reduced to a temperature of near zero degrees. The machine requires a substance in order for it to maintain a cold temperature, and that substance is liquid helium. The wires continuously are doused with liquid helium. The fluid has a temperature of -269.1 degrees Celsius, which is the equivalent of -452.11 Fahrenheit. The average MRI machine utilizes 1,700 liters of helium. A standard 18″ balloon requires about .1 oz of helium, and the machine uses about 56,100 oz to give you a mental picture of how much helium that is. The amount of helium in the scanner must be topped off on a regular basis, which increases the amount of helium used by the machine even further. Unfortunately, the amount of helium on earth is diminishing due to its heavy usage, and it floating away. There isn’t much of it on earth because it’s not weighed down to the atmosphere. It’s slowly, but continuously, floating off into space. The noble gas is unable to be synthesized and is usually made through natural radioactive decay. Once the helium is gone, it’s gone forever because it’s a nonrenewable resource. The medical field requires a large quantity of helium to assist patients with diagnosing and monitoring their condition, which is by far a vital and valued use.